This device has two uses. Use with a PT102A type injector to double the power into one device from 25 watts to 50 watts- combines two 802.3at ports into one uPOE port. 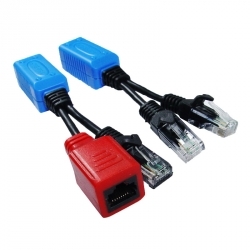 Use to put two 10/100 ethernet circuits into one long run ethernet cable with or without PoE. Supports 2 individual 10/100 data rate connections and up to 25 watts for each(50watts total) on CAT5e. Connect two male RJ45 to your switch, then remotely connect each male RJ45 to your camera, WIFI or phone. Use any CAT5e cable between the two PT102A(B) device. ·It provides a low cost solution for either use case. 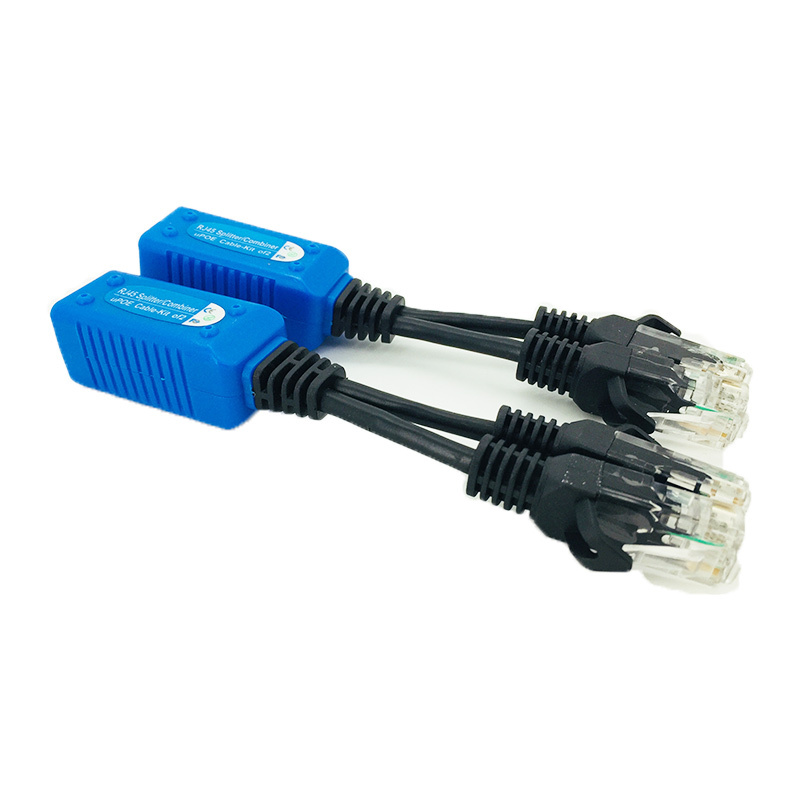 Ethernet doubler operation is intended for use with any 10/100 switch with our without PoE . ·Save the Cables, Tubes cost. And Save the installation cost and Time.